There are quite a number of painful/uncomfortable foot problems that can develop especially as we get older. Bunion: A prominent bony protrusion that forms at the base of the big toe and causes it to push against the next toe is the result of a misalignment or repositioning of foot bones. 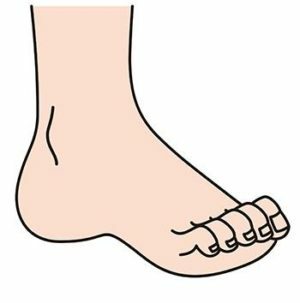 Even though most bunions affect the inner foot at the big toe’s base, one can also form on the outside of the foot at the little toe’s base often referred to as a bunionette or tailor’s bunion. 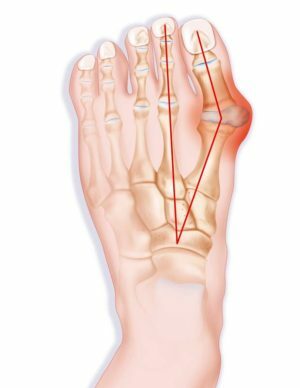 Bunions can be inherited, and caused by a weak foot anatomy or even arthritis. Folks with flat feet also tend to get bunions as well. A bunion can be pretty painful particularly when a tight shoe is pressing against it. If your bunion is making walking unbearable, you might want to consult an orthopedic doctor who will order x-rays. You might also get blood work if a doctor suspects that a type of arthritis like gout or an infection might be causing the pain. Once your doctor reviews all of the testing results, they will discuss the best way to treat your bunion which can include orthopedic shoes, custom-made inserts, medication, surgery or other treatment option. If you want to ease immediate bunion pain, you might consider a heating pad, warm foot bath or ice pack. Plantar Fasciitis: A truly common foot problem that causes excruciating heel pain especially when you get up in the morning and begin to walk. Plantar fasciitis or a heel spur is caused by an injury to the plantar fascia which is the tough connective tissue that stretches from the heel to the ball of the foot that helps support the arch. Having a high arch, flat feet, wearing non-supportive shoes for a long time, and obesity can all lead to plantar fasciitis. A diagnosis for plantar fasciitis is made when a physician performs any one of these tests—x-ray, bone scan, ultrasound or MRI in order to rule out such issues as arthritis, fracture, tendinitis, cyst, nerve entrapment or other trauma. 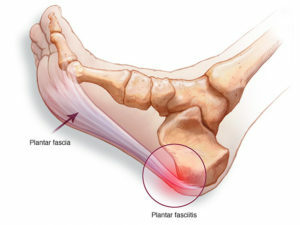 Treatment for plantar fasciitis can include plantar fascia and calf stretching exercises, supportive/well-cushioned shoes; the avoidance of shoes like flip-flops, sandals and walking barefoot; massage therapy, ice application, weight loss, NSAIDS (Advil, Motrin), orthotics (shoes with thick soles and extra cushioning), physical therapy and cortisone injections. Someone with plantar fasciitis might not want to stand for long periods of time and steer clear of high-impact activity like basketball or tennis. The heel pain can usually be treated without surgery. It might take months for the pain to subside. If after 12 months of conservative treatments pain is still an issue, surgery might be considered but complications can include incomplete pain relief and nerve damage. 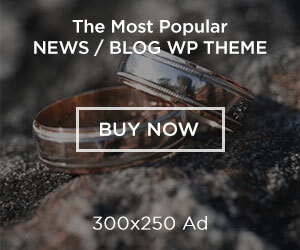 Nail fungus: When a toenail becomes yellowish, infected and becomes thick, discolored, breaks easily (brittle) or falls off repeatedly, it probably has a fungus. The condition can affect other nails as well. If the fungus is mild and not really bothering you, a doctor’s visit might not be necessary. However, if the fungus is painful, or you are a diabetic, a trip to your healthcare provider is recommended. Nail fungus is more common in older adults and can also be caused by a skin or nail injury, skin conditions like psoriasis or athlete’s foot, circulatory issues, sweating profusely or walking barefoot in communal areas like public pools, gyms, and showers rooms. 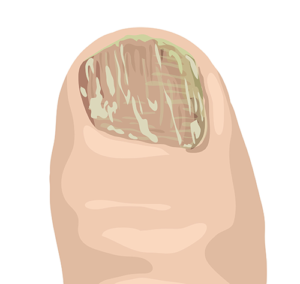 A bad case of nail fungus can permanently damage your toenails. If you suffer from diabetes, a nail fungus can put you at risk for cellulitis, a potentially serious bacterial skin infection that feels hot and tender to the touch. In order to avoid a nail fungus infection, you should practice such sanitary habits as bathing regularly, disinfecting clippers after use, wearing footwear in pool areas and locker rooms, sporting shoes made out of breathable materials and sweat-absorbing socks that should be changed daily. 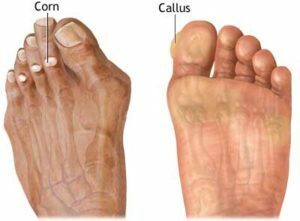 Corns and callouses: These thick and hardened layers of skin have plagued many of us for eons and can actually worsen with age. If you have a compromised system with an ailment like diabetes for example that can cause poor blood flow to the feet, having corns and callouses puts you at risk for complications like foot ulcers (infected open sore), if you try and care for them yourself and wind up nicking the area. Corns are smaller than callouses and have hard centers surrounded by inflamed skin and when pressed they can be painful. Callouses are larger than corns and less painful. They can typically be found on the heels or balls of your feet. Corns and calluses can be caused by pressure and constant friction like from ill-fitting shoes and not wearing socks while your feet are in shoes. Foot deformities such as bunions, hammer toe, bone spurs can also bring on corns and callouses. In order to prevent these annoying foot problems only wear shoes that give your feet lots of room and use felt pads or bandages to protect those areas that rub against shoes. Hammer toe: When the second, third or fourth toe is bent at the middle joint it is referred to as hammer toe. Folks whose toes curl up in this manner typically have corns or callouses in the middle of their affected toes, sufferers might also feel pain and have problems finding shoes that are comfortable. Hammer toe develops because shoes don’t fit properly or a muscle imbalance. Muscles work uniformly to straighten and bend toes so if they are bent, and in one position too long, they tighten and can’t stretch out. Once a hammer toe develops you just can’t reposition it to make it feel comfier in shoes. Orthopedic doctors tend to go the conservative route first when treating hammer toe and tend to recommend soft shoes with roomy toe boxes. Exercises that stretch and lengthen muscles might also be something a sufferer could try. Using your toes to pick things up, or putting a towel flat under your feet, then using your toes to crumple are exercises to try and help improve the condition. Hammer toe sufferers should avoid high heels because wearing them worsens the toe bend causing them to become more pronounced. Surgery is a last resort for hammer toe. People with diabetes or poor circulation should discuss any foot issues with their doctors before trying any self-help measures.